Hurricanes are a testament to the awesome power of nature. Torrential downpours, massive storm surges, flooding, and wind speeds exceeding 155 miles per hour can all occur during a category 5 storm. Homes, businesses, trees, roads, and even lives can all be destroyed in an instant. StonePly travertine, marble, and granite cladding, however, is likely to come through the worst storm unscathed. When natural stone cladding systems other than those created by StonePly are used for building exteriors, the scene in the photo above is an all too familiar one when an area is hit by a severe hurricane. 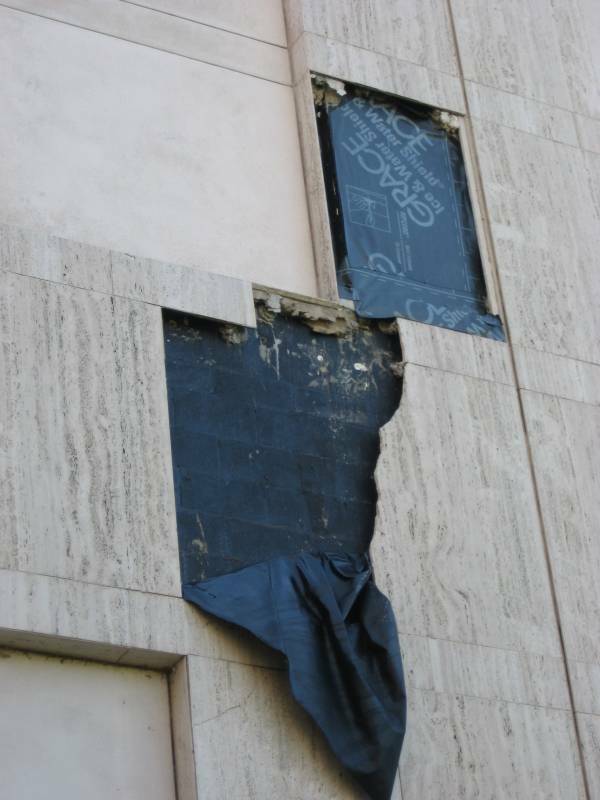 Extremely high winds alone can be sufficient to harm marble or travertine cladding, but the most severe damage to stone during hurricanes is often due to flying debris. Objects are tossed and hurled through the air. If they happen to strike regular granite cladding, the stone may crack or even completely shatter. 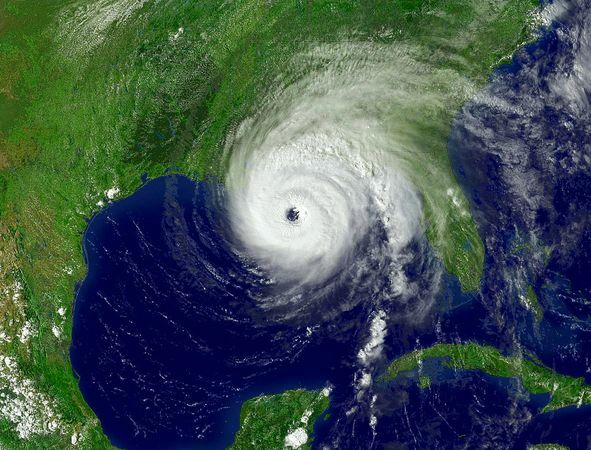 The uncertainty and potential losses and disruptions associated with hurricanes make them inherently stressful weather events. As our work on the Atlantis Resort in the Bahamas demonstrates, the simple answer is: extraordinarily. The gorgeous travertine cladding here survived a number of hurricanes, one of which was a devastating category 5. These stone cladding panels remained undamaged despite being struck by flying tree limbs and other debris. A full summary of our laboratory testing results and technical info about StonePly panels and wind loads are available at the StonePly website. You can also view hundreds of stone choices that can be used to create hurricane-resistant stone panels and learn more about our lengthy track record of success. If you’d like to take the next step and discuss the details of your project with a representative during a free initial consultation, contact us. We can be reached through the contact form on our site or by phone at 903-454-4630.